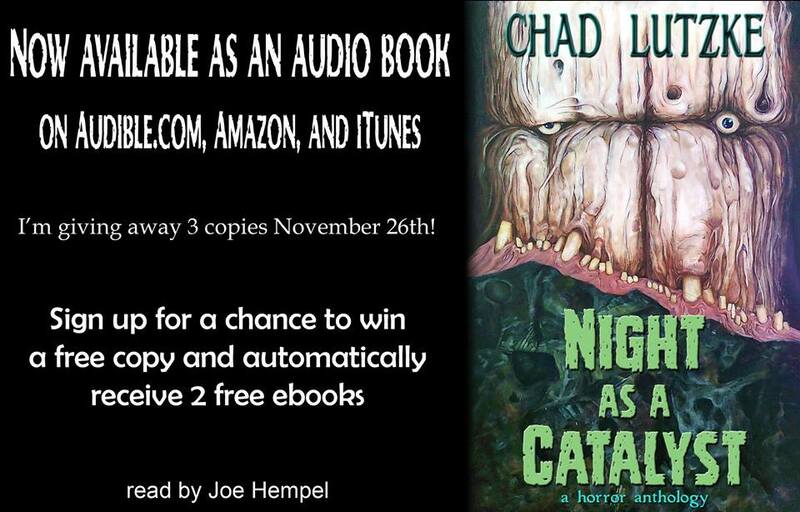 Win Chad Lutzke’s ‘Night as a Catalyst’ in Audio Book Now! Chad’s an awesome guy, and his latest collection, Night as a Catalyst is an awesome book. It makes for a fine read, but if you’re busy, constantly on the go – perhaps commuting to work, maybe an audio book would better fit your lifestyle and schedule. Chad, being the awesome guy that he is, is giving away three copies of this beauty, and we’re definitely, definitely recommending you check it out. It’s a fine collection that has an awesome Twilight Zone vibe that’s going to win you over, quickly! Take a quick moment to sign up right here for your chance to win. It’s well worth your time! 1 Comment on Win Chad Lutzke’s ‘Night as a Catalyst’ in Audio Book Now!